The quality, style and performance of Club Car’s utility and transport vehicles have made them favorites at exclusive hotels and resorts. The company continues that tradition by showcasing two new vehicles at the upcoming HX Show in New York. The vehicle’s L-shaped van box with LED lights and locking doors carries a full-size vacuum cleaner, brooms, mops and other supplies. Drawers provide storage for small items, and shelves hold towels, linens, cleaning supplies and more. The vehicle also features a canopy and hinged windshield, USB ports and other equipment. Electric models come standard with extended-range batteries and single-point watering systems that simplify battery maintenance. “Please stop by the booth and ask for our free white paper: Building a Comprehensive Transportation Strategy for Your Resort: A Four-step Plan,” Sicard says. For more information, visit clubcarinfo.com/resorts. Club Car, one of the most respected names in the golf industry, is the world’s largest manufacturer of small-wheel, zero-emissions electric vehicles. The company’s Precedent® golf cars, exclusive Visage™ Mobile Golf Information System, and Carryall® turf utility vehicles are integral to successful operations at thousands of courses around the world. 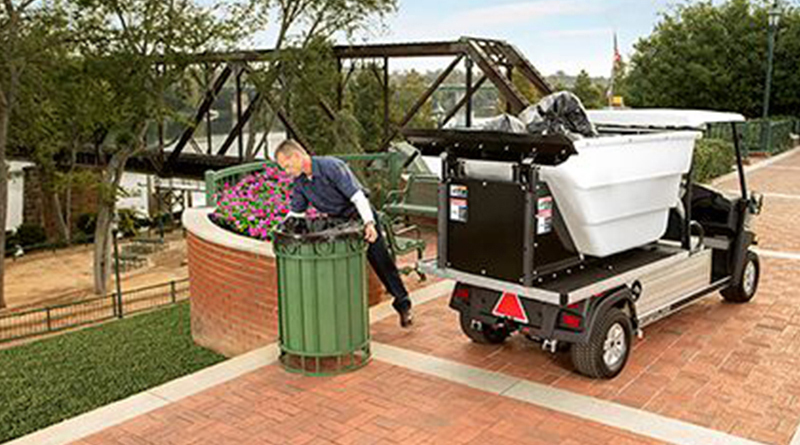 Carryall utility and transport vehicles are used in a variety of commercial, industrial, government, rental and resort applications. The company also offers street-legal, low speed vehicles (LSVs) for personal and commercial use, all backed by Club Car’s 50+ year legacy of superior design, manufacture and service. Club Car is part of Ingersoll Rand, and is based in Augusta, Ga. Visit www.clubcar.com. ← Longtime Concord executive, Shaun O’Neill, is joined by financial industry veteran, Stephen Bertrand, as a part of the company’s strategic reorganization.